Trying to grow your practice? LocalMed can help! 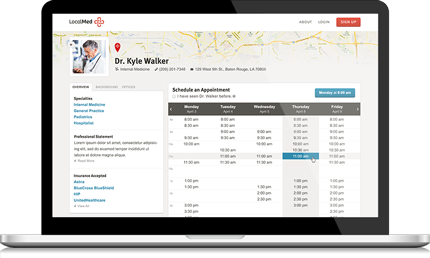 Our real-time online scheduling platform helps you close the loop on all of your marketing efforts by connecting with potential patients wherever they’re finding you: your website, Google, social media, our insurance and product partners, etc. 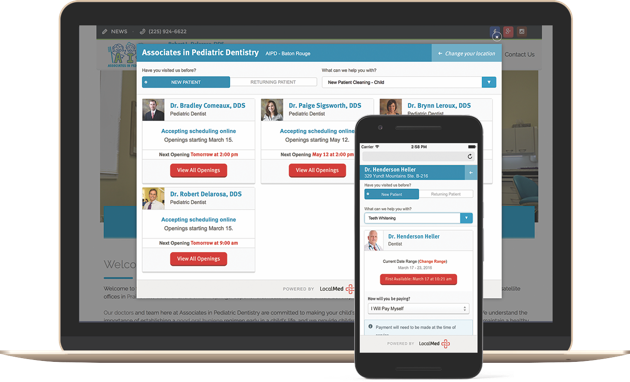 With LocalMed, your dental practice is open for scheduling anywhere, anytime, 24/7. Want to be the first provider in your area? Search for dentists in your local community. Sync appointments to your calendar.